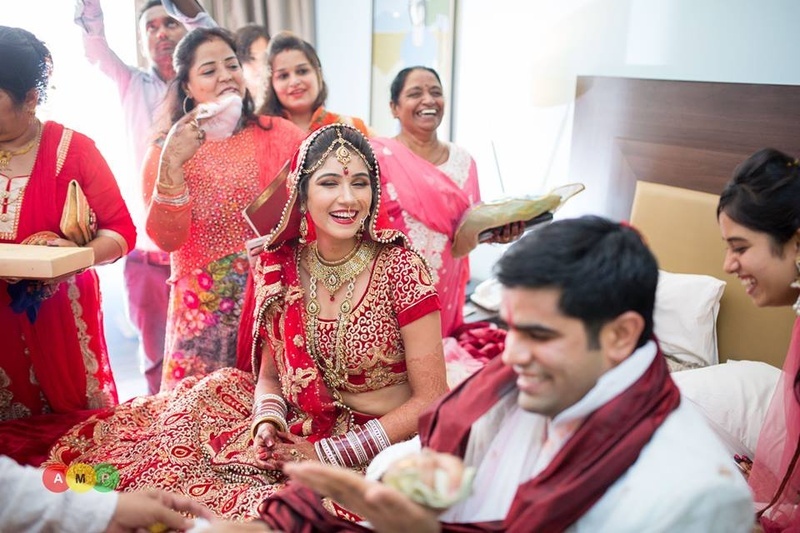 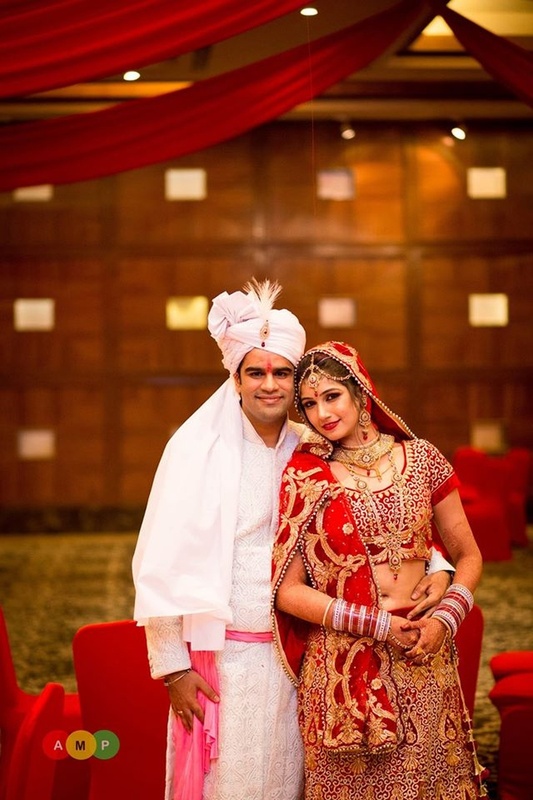 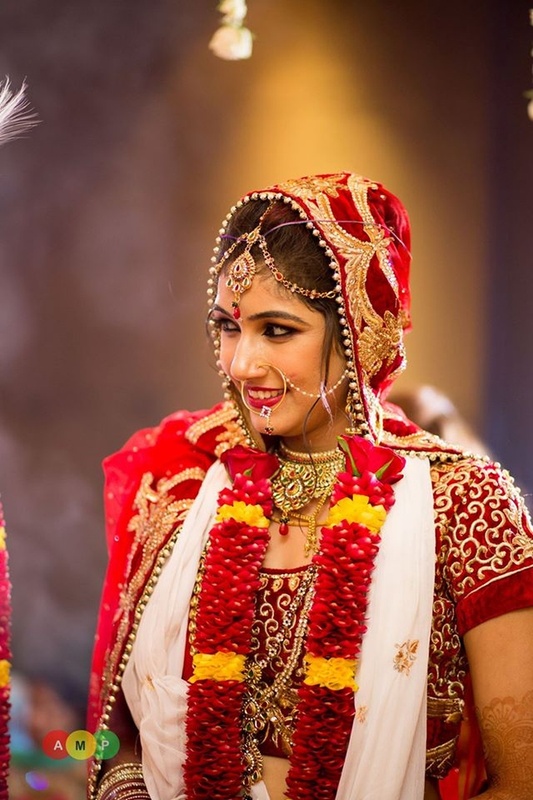 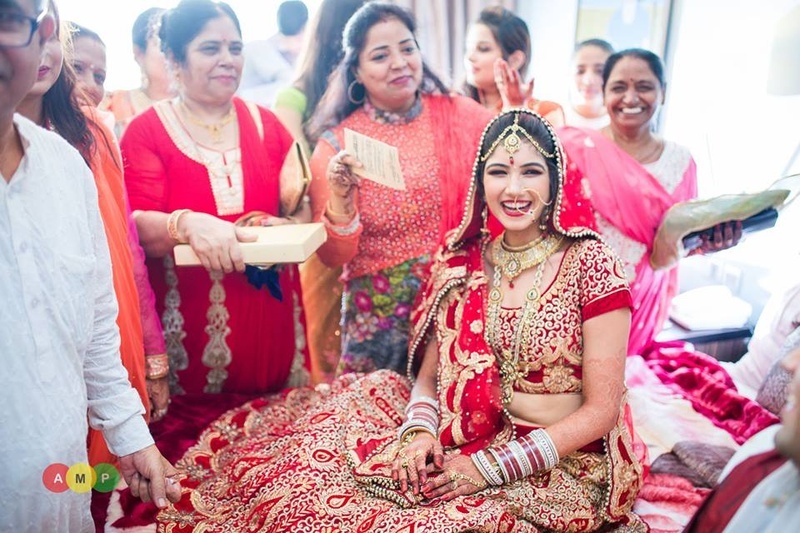 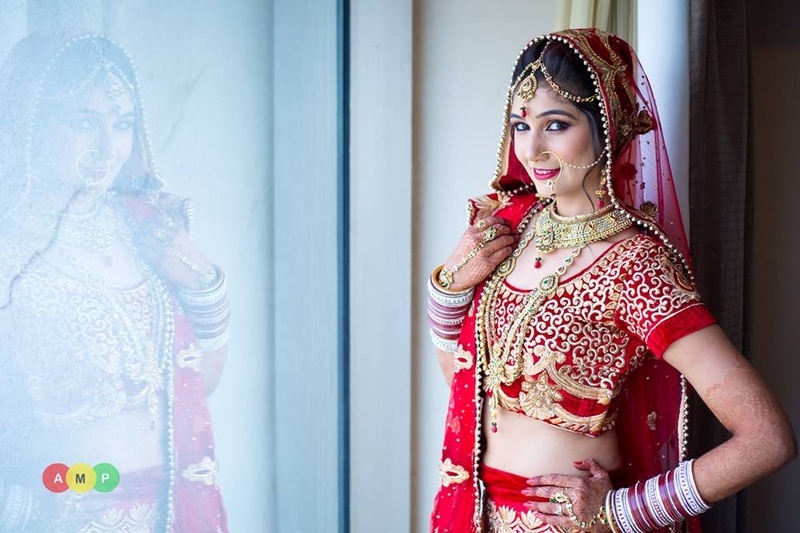 Dressed in a traditional red and gold bridal lehenga, Priyanaka wore a smile on her face throughout the entire wedding ceremony. 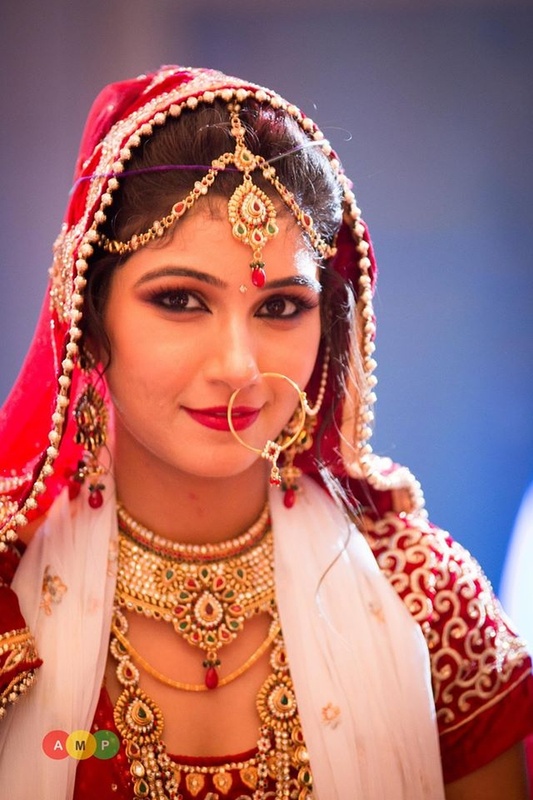 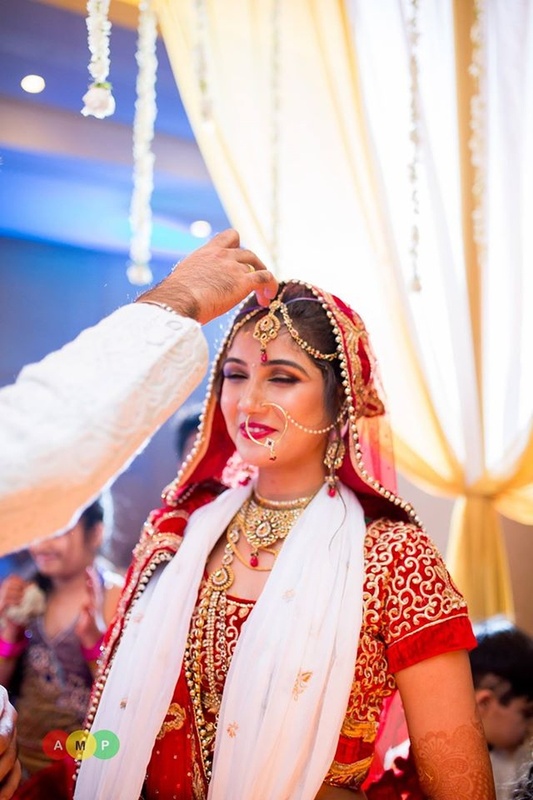 Every piece of jewellery she wore enriched her entire bridal look; whether it was the choker, the rani haar, the maathapatti or the dainty nath, all of her adornments were studded with colorful semi-precious stones, each complimenting the other perfectly. 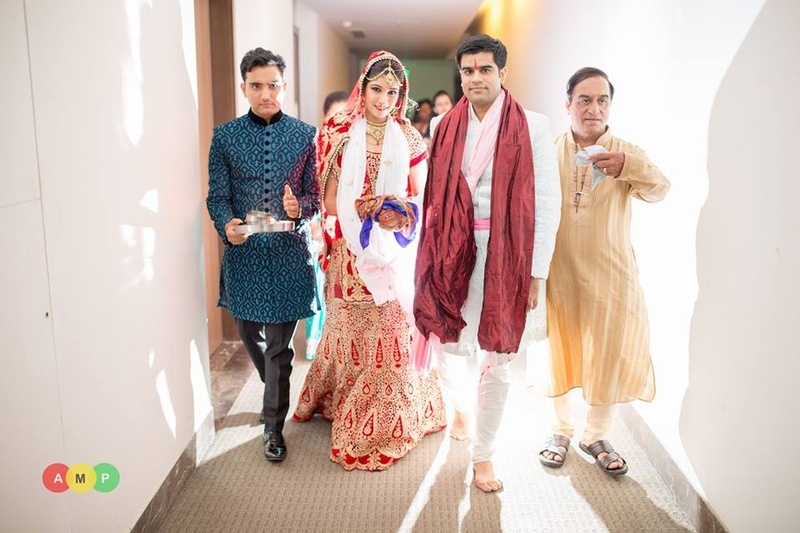 Vishesh wore an embossed ivory sherwani, a matching churidar and paired it with a metallic maroon dupatta. 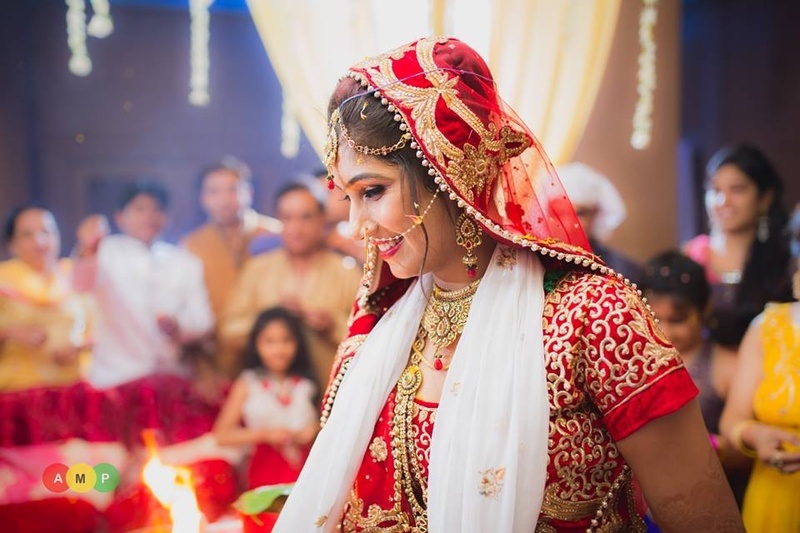 The safa he wore was white too, embellished with a gold kalgi and topped with a feather. 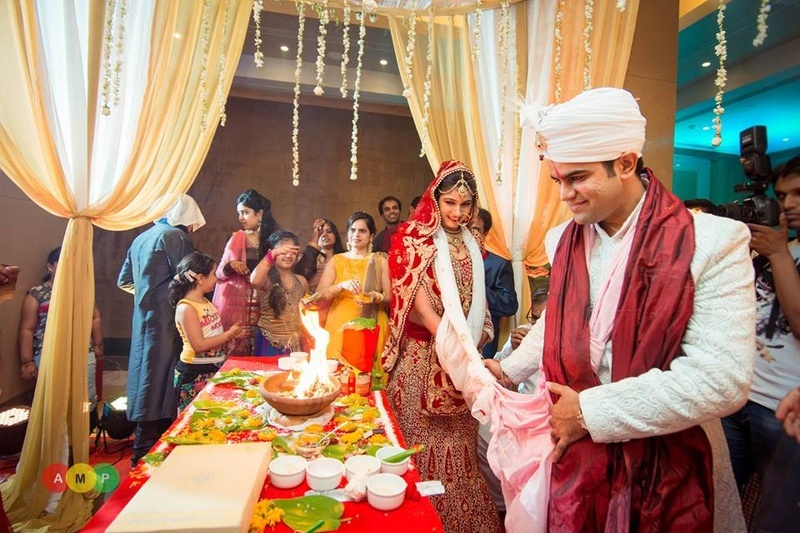 This ethnically dressed couple held hands and took their Saat Pheras around the Holy fire. 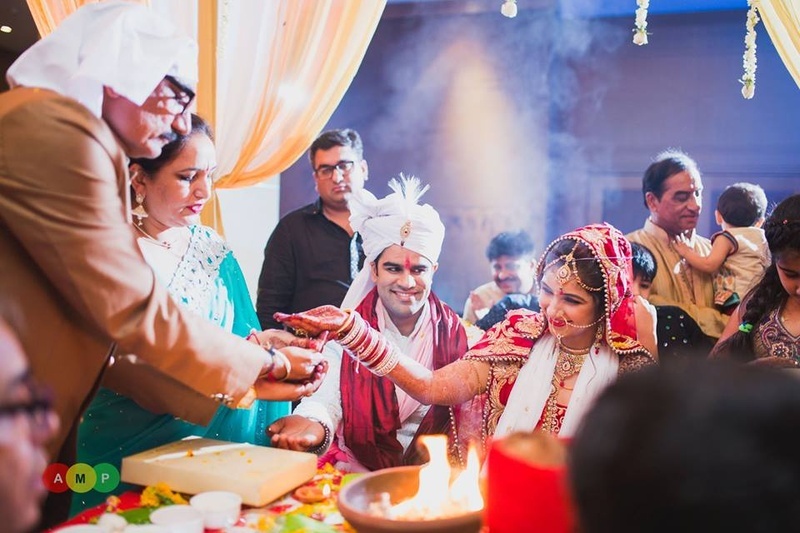 The highlight of this wedding was the exciting varmala ceremony. 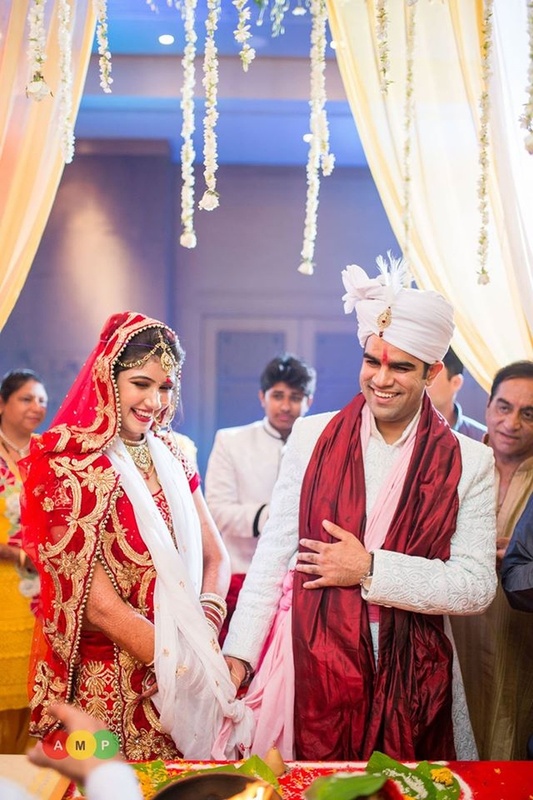 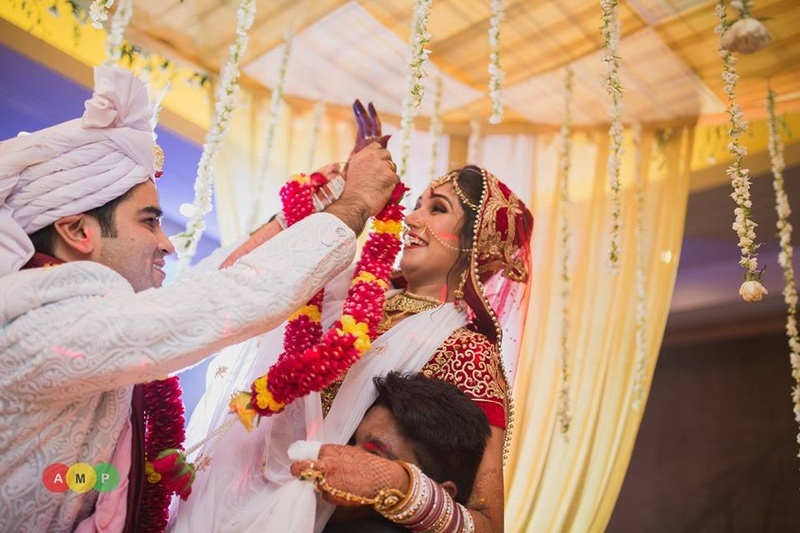 Priyanka and Vishesh’s playful back and forth, the laughter, the glee and then the rejoicing once the garlands were strung on each other was truly infectious! 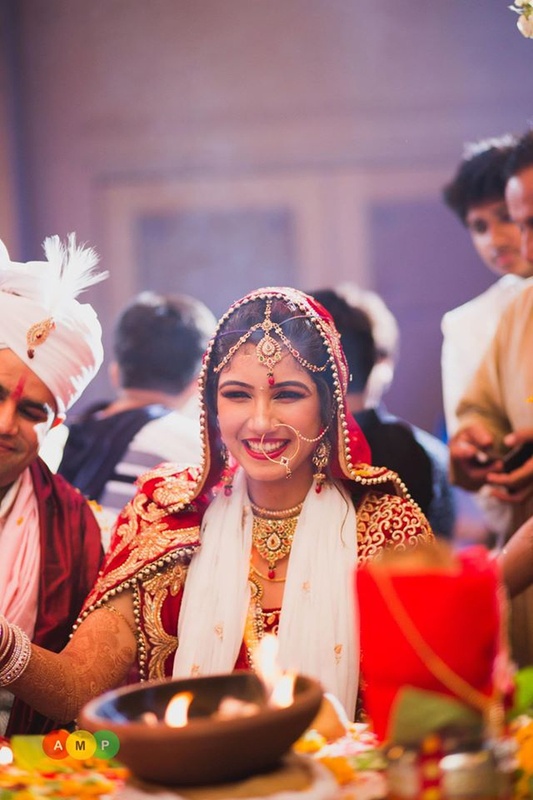 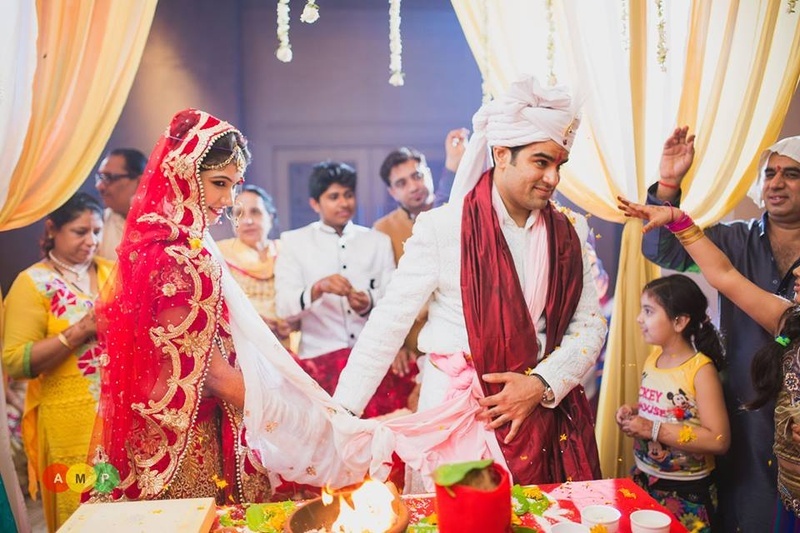 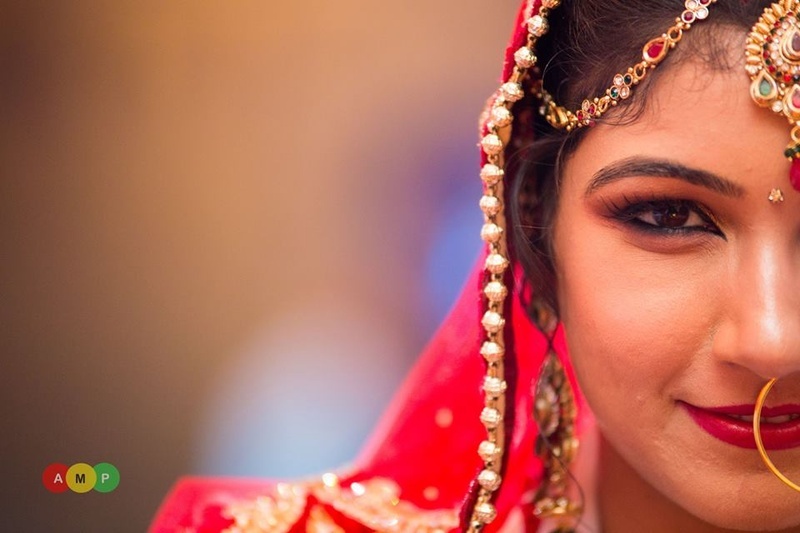 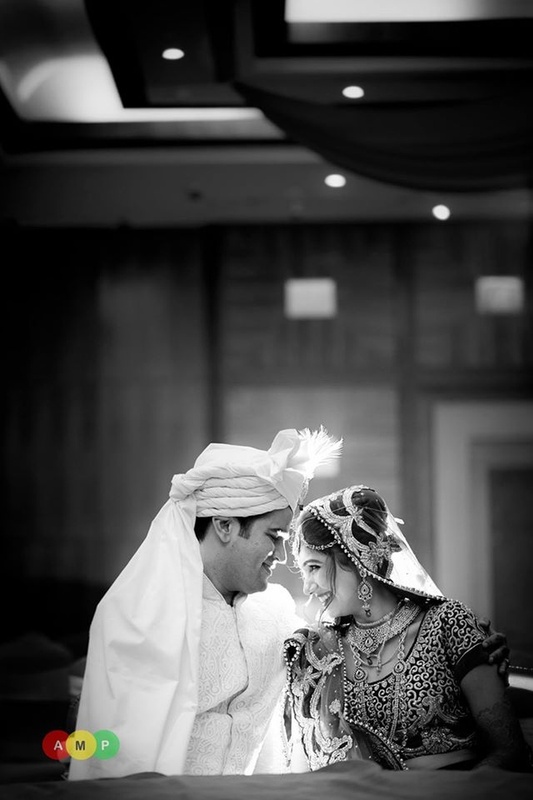 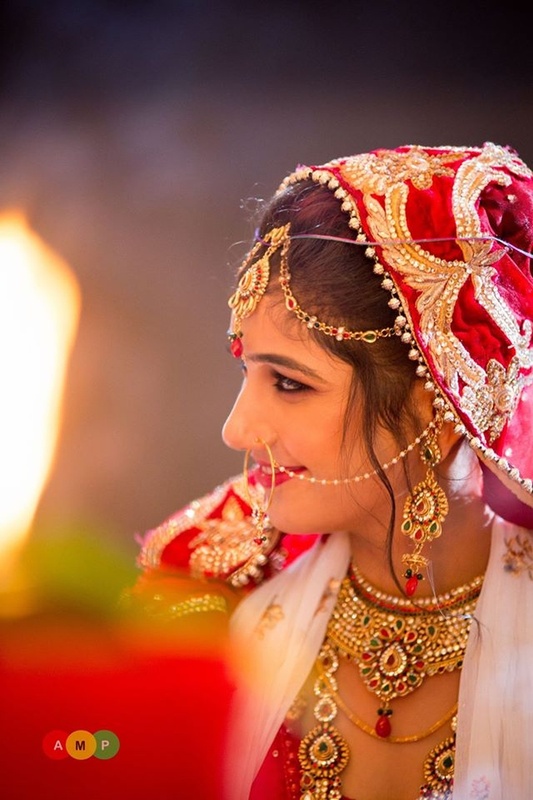 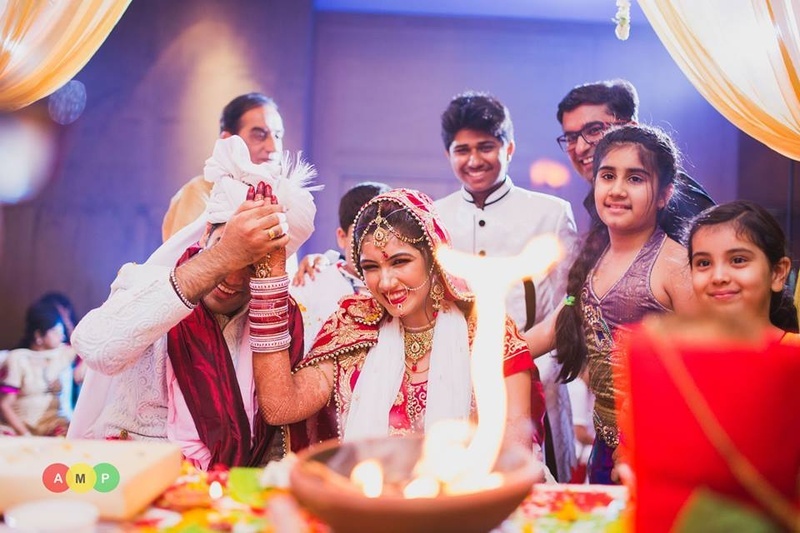 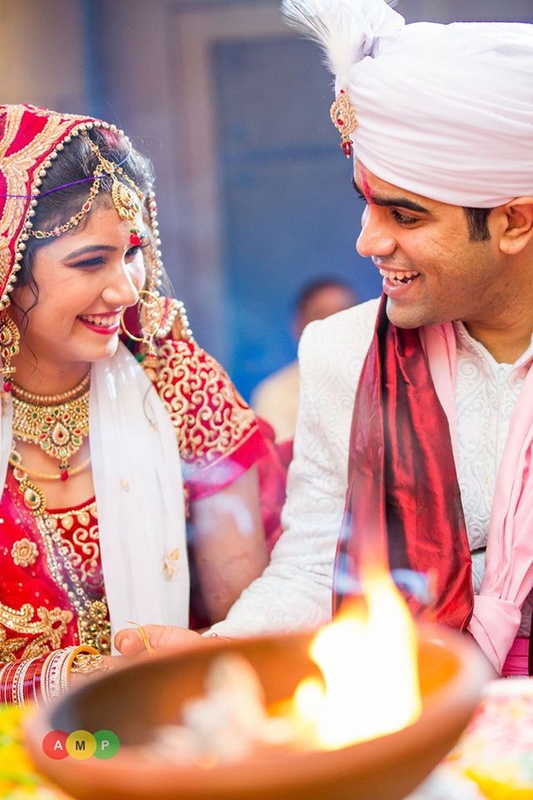 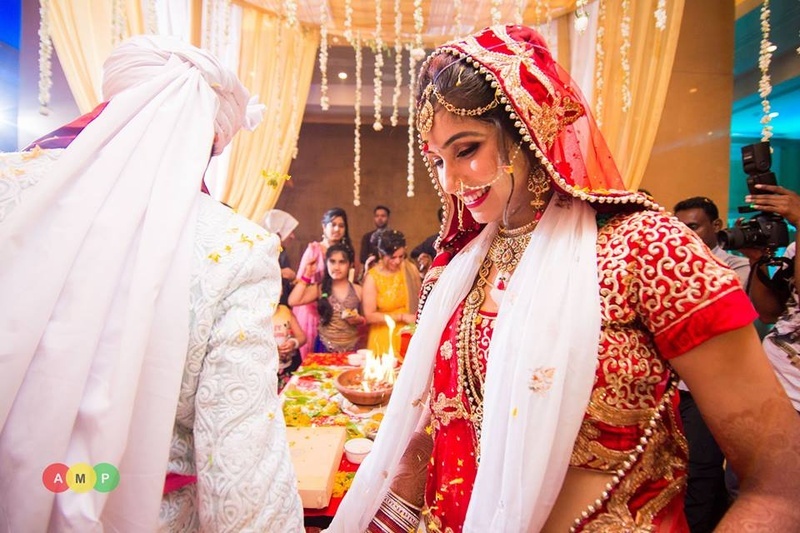 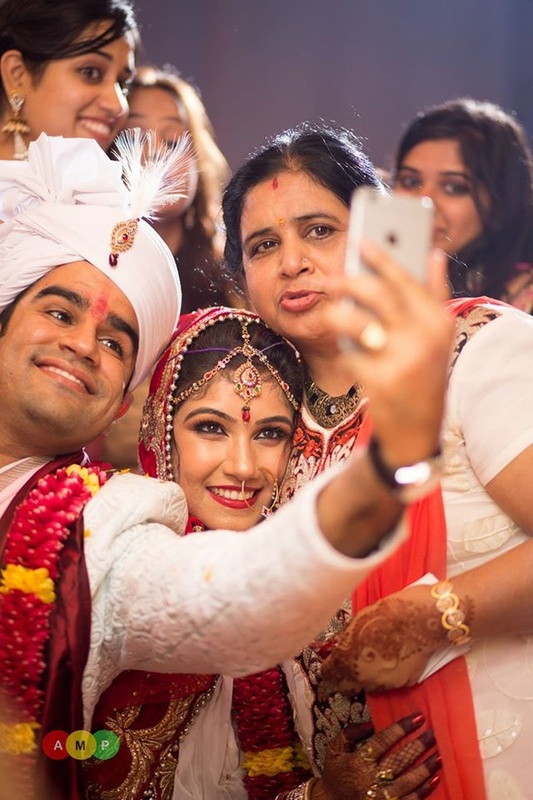 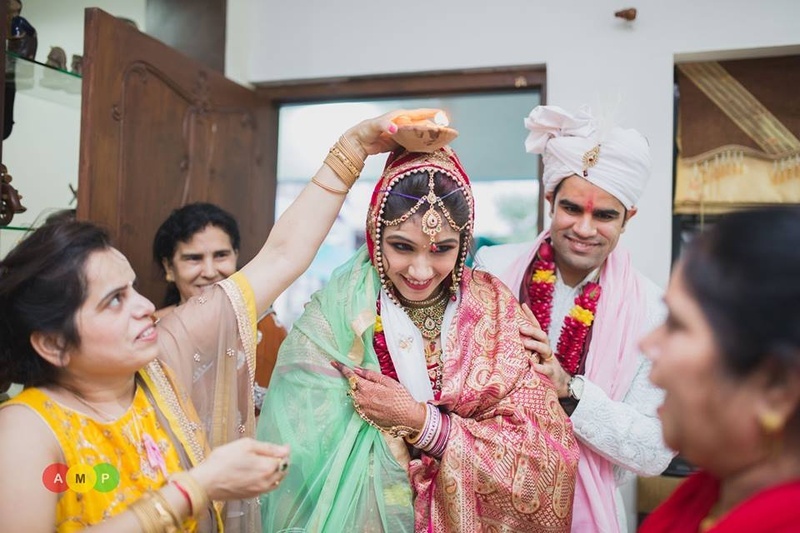 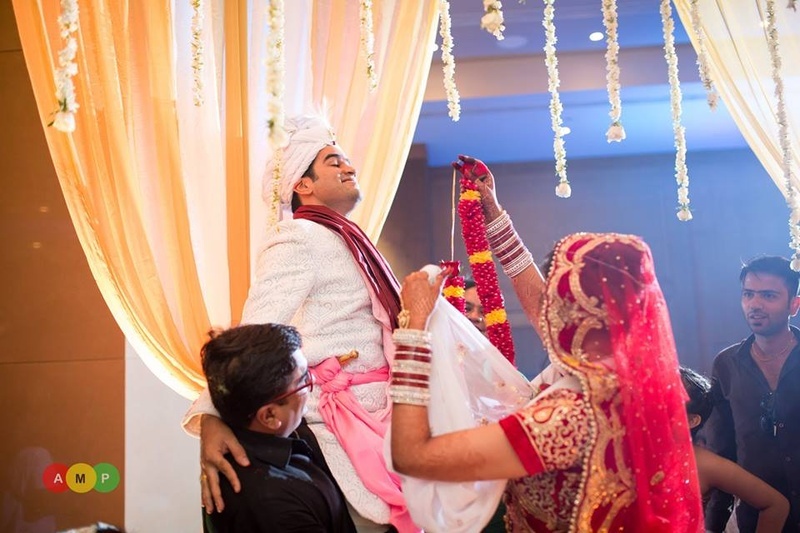 Anupam Maurya Photography captured every image from this beautiful traditional wedding ceremony just perfectly. 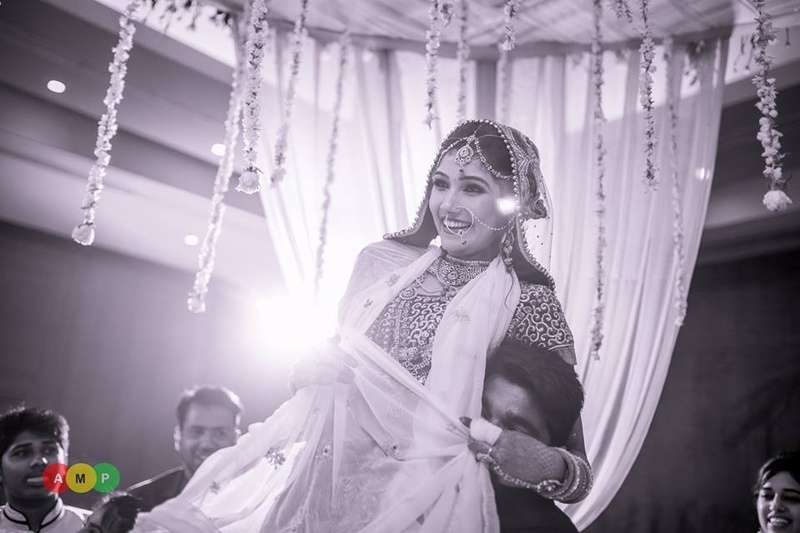 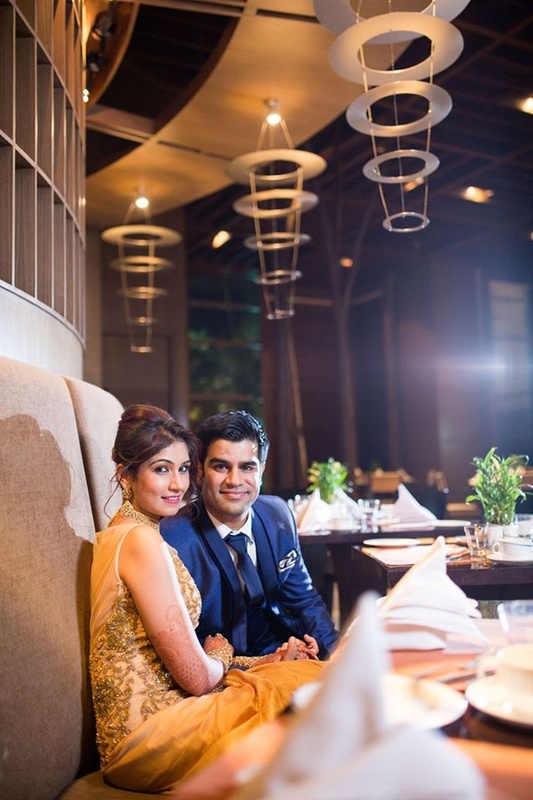 Let’s have a look at some of the precious moments from their big day right here! 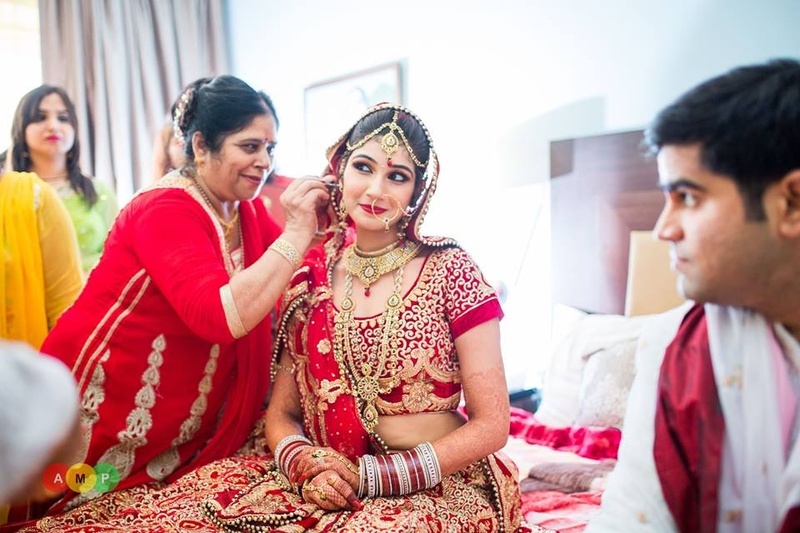 Keeping an eye on her groom already!